Good Guys – Milwaukee Chief of Police Edward Flynn Tells It Like It Is! | It's the Women, Not the Men! Good Guys – Milwaukee Chief of Police Edward Flynn Tells It Like It Is! Milwaukee, Wisconsin, like St. Louis (Ferguson), Missouri, has been a sewer for decades. Placating, and pandering to, the useless, arrogant, bloviating, black “leaders” has done NOTHING to help alleviate the rampant crime and done EVERYTHING to line these grandstander’s pockets while pointlessly massaging their bloated egos. Chief Flynn, on the other hand, is a Christian man who is truly trying, EVERYDAY, to do something about the mess. He goes after all of the elitist chickens, who cluck, cluck, cluck, from the safety of their limos, about the “bad” cops, while doing absolutely NOTHING to help to fix the raging crime themselves. Unlike these wimps, Flynn’s guys risk their lives, on a daily basis, to actually make a difference, in the hell created by black on black crime, that we rightfully call, ghettos. And Flynn’s men continue to voluntarily drive into this war zone to do what they can to help, despite the fact that the black juvenile’s violent activities are a monstrous black problem (93% of murders are black on black). It is a black cultural crisis, exasperated by the predominance of matriarchal communities, that can only be resolved by the return of black, Christian fathers into the lives of their children. And despite the ongoing, never-ending rants by Reverends Sharpton, Wright and Jackson, they do not qualify in this capacity, as they have proven themselves to be nothing more than self-centered, political hacks – inevitably part of the problem, not part of the solution. These three creeps have ultimately disqualified themselves as “representatives” of the black community because they are totally incompetent, irresponsible blowhards who have been “leading” their people, for the last 40 years, not to nirvana, but to hell! While they’ve been at the “helm”, the poverty, crime and violence in the ghettos has escalated, not diminished. Single parent families were but 17% of the black community in the 1950s. Today, 71% of black children are born to single mothers! Despite what you’ve been led to believe, single mothers and their children are NOT a viable economic unit, which is why God invented fathers. Without fathers, to support their families, the women and children are driven into abject poverty which inevitably breeds crime and generational government dependence. 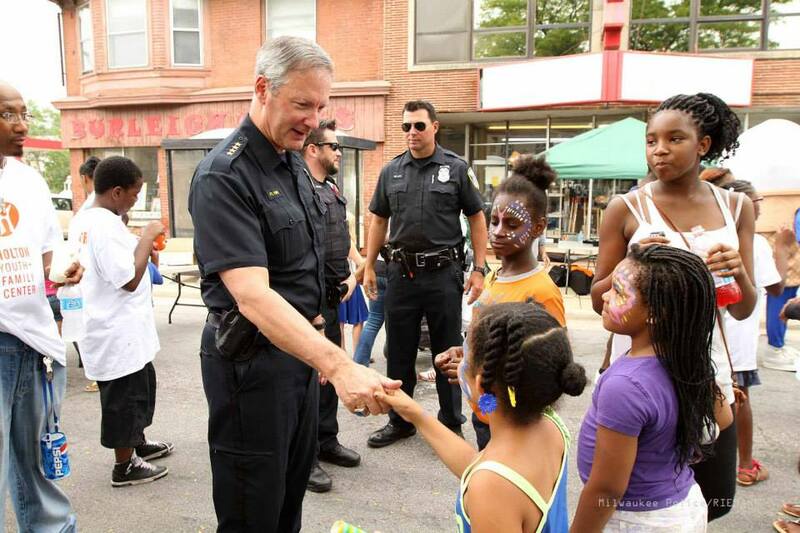 I pray that more of our fabulous, big city police chiefs follow Chief Flynn’s lead. It’s time to tell the do-nothing jackasses to sit down, and shut up and let the real, Christian men, who can truly solve the problems, do it, with tough love. My home town. You are so right on about this!